Have you noticed that much of Christianity is recognized by the safe-guarding of borders and boudaries? In this discussion Ray is joined by Dr. Richard Beck as they explore together how we might move beyond a faith defined by purity and embrace a life of mercy as modeled by Jesus. 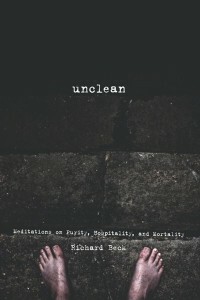 Join us as we venture through Richard’s riveting book “Unclean”. Thanks Richard for stirring us to a more beautiful and faithful discipleship! 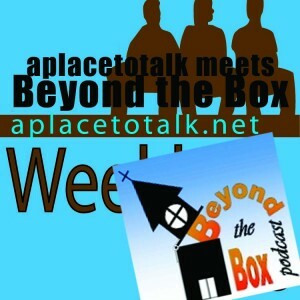 In this episode Steve and Ray hit the road to join the people of “A Place To Talk” for a discussion about freedom, rights, and the Kingdom of God. Should followers of Jesus be concerned to protect their rights? Are our rights God-given, government-given, or some combination of both? Do we need freedom to proclaim the message of Jesus? These questions and more are batted around between Steve, Ray, Josh McDowell, and the people of “A Place To Talk”. Thanks to Josh and “A Place To Talk” for inviting us to come and think through these issues with them. In this episode Ray is joined by Michael Hardin and Brad Jersak for a discussion on “the satan”. Who is the satan? What is the satan? 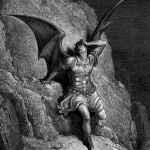 Does a personal devil exist, or is satan an anthropological entity? These questions and more are addressed in this in-depth conversation on the nature of evil, and it just might be WORSE than you think! Thank you to both Michael and Brad for taking the time to share their hearts and thoughts with us! Check out the book mentioned in this episode Understanding Spiritual Warfare: Four Views to read more about the ongoing debate about the nature of evil. In this episode Ray is joined once again by Tripp York for a discussion about Tripp’s book The Devil Wears Nada. In the book, Tripp embarks on a journey for God via searching for the devil. Sound crazy? Well get ready to laugh as you rethink who God is and who the devil isn’t. 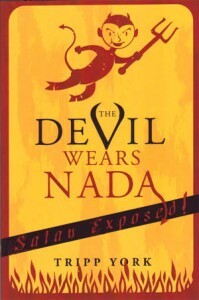 Check out Tripp York’s book The Devil Wears Nada wherever you buy your funny, insightful theology books. Thanks again Tripp for taking the time to share your humor and your thoughts! In this conversation Ray is joined by Dr. Tripp York for a discussion about Christian nonviolence and the book A Faith Not Worth Fighting For: Addressing Commonly Asked Questions about Christian Nonviolence. Tripp helps us sort through some of the most difficult questions posed to Christian pacifists as found in the book. 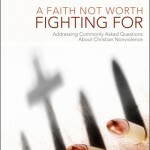 A Faith Not Worth Fighting For is one of the best resources to come out on the topic of Christian nonviolence, and a must-read for both Christian pacifists and those who are interested in the topic . Thanks Tripp for sharing your heart, your thoughts, and your time with us! In this episode Ray is excited to be joined by Brian McLaren for a discussion about Brian’s newest book Why Did Jesus, Moses, the Buddha, and Mohammed Cross the Road? Brian’s book offers thought-provoking insights into living as a follower of Jesus in a pluralistic world, and in this discussion Brian answers questions like, “Is it possible to be faithful to the Christian faith and charitable to other faiths?”, and “How are we to understand the claim that ‘Jesus is Lord’?”. 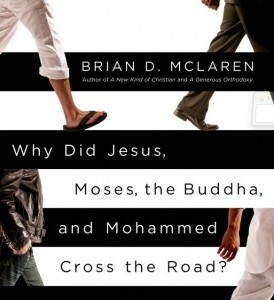 Make sure to visit BrianMcLaren.net and check out Brian’s book Why Did Jesus, Moses, the Buddha, and Mohammed Cross the Road? Thanks so much Brian for sharing your time and your heart with us! In this episode Ray is joined once again by Derek Flood for a discussion about Derek’s new book Healing the Gospel. Derek believes that restorative justice is the heart of the Gospel, and in this episode Derek shares his heart for healing the broken picture that many of us have of God and the Gospel of Jesus. 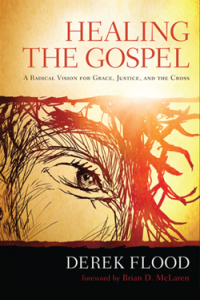 Check out Derek’s website and pick up his book Healing the Gospel. Thanks Derek for taking the time to share your heart with us! In this episode Ray hits the road to join the people of A Place To Talk, a fellowship of believers in Hickory, NC. The first hour of this episode is a live podcast discussion about nonviolence between Ray and Josh McDowell of A Place To Talk, which serves to set the groundwork for the last 1.5 hours of our time together. During the last 1.5 hours the people of A Place To Talk join in the conversation offering push-back, comments, questions, and clarification about the topic of nonviolence. I want to say a big “thank you” to Josh McDowell for the invitation, and to the people of A Place To Talk for the hospitality, the stimulating discussion, and the warmth displayed even in the midst of disagreement (and oh yeah, for the yummy breakfast!). Check out this unique fellowship at http://aplacetotalk.net/. In this episode Ray is joined by Dr. Peter Enns for a discussion about the ideas in his books Inspiration and Incarnation and The Evolution of Adam. What is the nature of Scripture? How are we to understand the balance between divine inspiration and human authorship in Scripture? Was Adam an historical person? Join us for a discussion about these questions and more! Make sure to check out both Inspiration and Incarnation and The Evolution of Adam by Peter Enns for a more in-depth look into the issues addressed in this episode and visit his blog at http://peterennsonline.com/.